Meie Liigume Matkad invites you to come scootering/kickbiking! 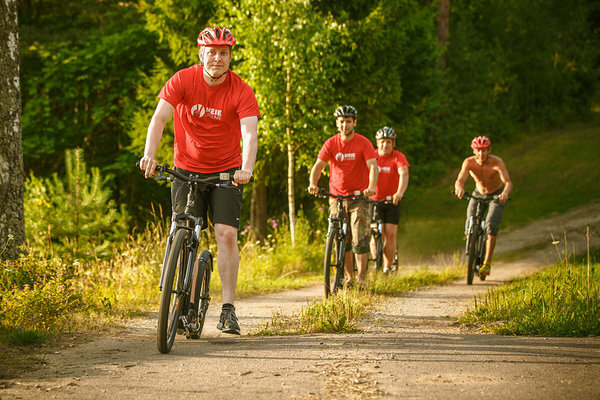 We organise kickbike trips from spring to autumn, every day of the week when necessary. Everyone is given a fast, modern and attractive kickbike to use, with trips lasting from 2-3 hours and covering both sealed and gravel roads. The starting point is up to you. The price includes use of the scooter, the services of a guide, a light snack and a bottle of water. Group size can range from 10 to 50.